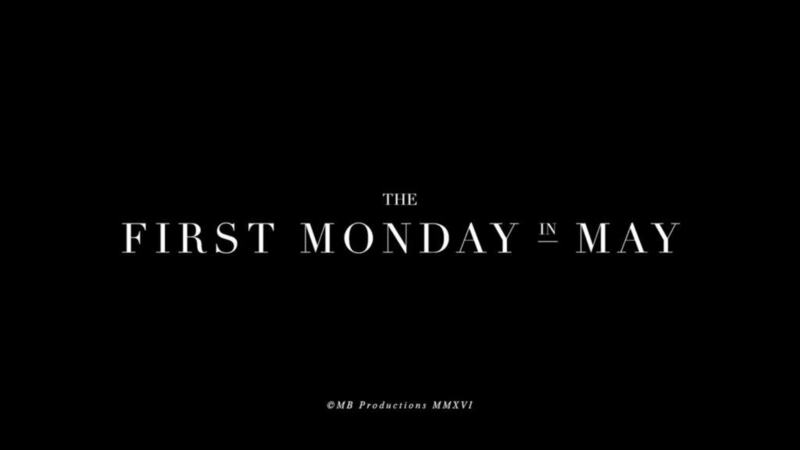 Recently, I had the privilege of viewing the documentary The First Monday in May which chronicles the preparations for the 2015 Met Gala as well as the Met Gala itself. 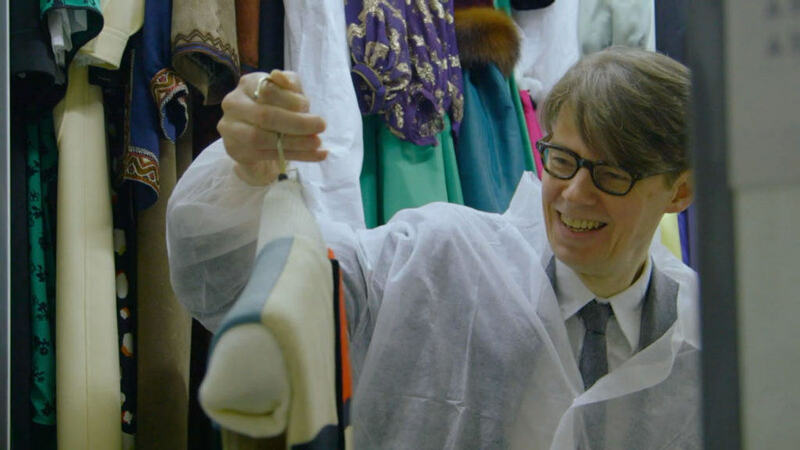 The exquisitely compiled documentary follows powerhouse Vogue editor-in-chief Anna Wintour who is the chair of the event as well as Andrew Bolton who, at the time, was associate curator of Costume Institute at the Metropolitan Museum. (He has since been promoted to curator of the Costume Institute). The Met Gala celebrates the opening of the Metropolitan Museum Costume Institute’s latest exhibition each year. In 2015, the exhibition was China: Through the Looking Glass. Ms. Wintour is the driving force behind the Met Gala and her vision has turned the event and subsequent exhibition into the reverence of clothing as art. Among her many accomplishments, the Met Gala and the exhibition it promotes sits near the very top. Andrew Bolton searched near and far for the perfect costuming for the exhibition. It had to be perfect. 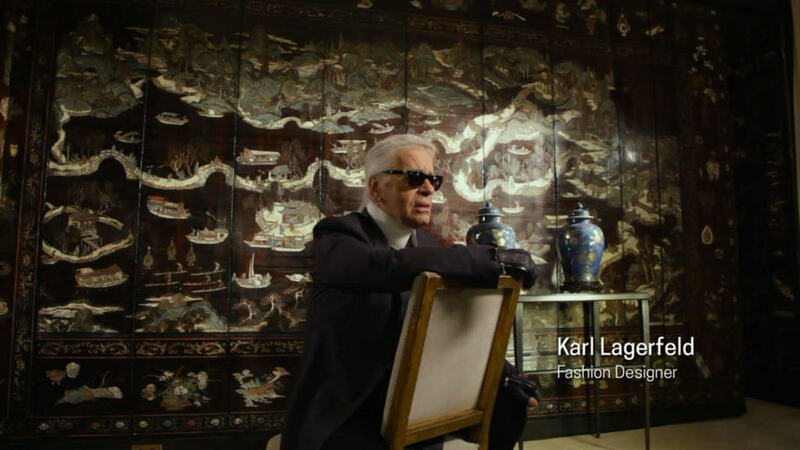 He called on well-known designers’ past collections to represent China in a myriad of ways. The final exhibition featured more than 140 examples of haute couture and avant-garde ready-to-wear alongside masterpieces of Chinese art. The designers that were included in the exhibition are Cristobal Balenciaga, Travis Banton, Bulgari, Sarah Burton for Alexander McQueen, Callot Soeurs, Cartier, Roberto Cavalli, Coco Chanel, Christian Dior, Tom Ford for Yves Saint Laurent, John Galliano for Christian Dior, Jean Paul Gaultier, Valentino Garavani, Maria Grazia Chiuri and Pierpaolo Picciolo for Valentino, Craig Green, Guo Pei, Marc Jacobs for Louis Vuitton, Karl Lagerfeld for Chanel, Jeanne Lanvin, Ralph Lauren, Christian Louboutin, Martin Margiela, Alexander McQueen, Alexander McQueen for Givenchy, Edward Molyneux, Kate and Laura Mulleavy, Dries van Noten, Jean Patou, Paul Poiret, Yves Saint Laurent, Paul Smith, Van Cleef & Arpels, Vivienne Tam, Giambattista Valli, Vivienne Westwood, Jason Wu, and Laurence Xu. 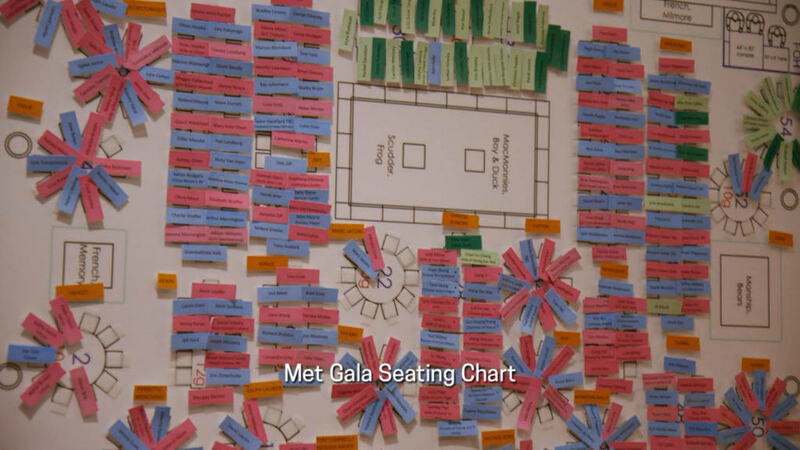 While Andrew Bolton was organizing the exhibition, Anna Wintour was busy with her team planning the Met Gala. No small task when you have the biggest celebrities and the eyes of the world on this one event! 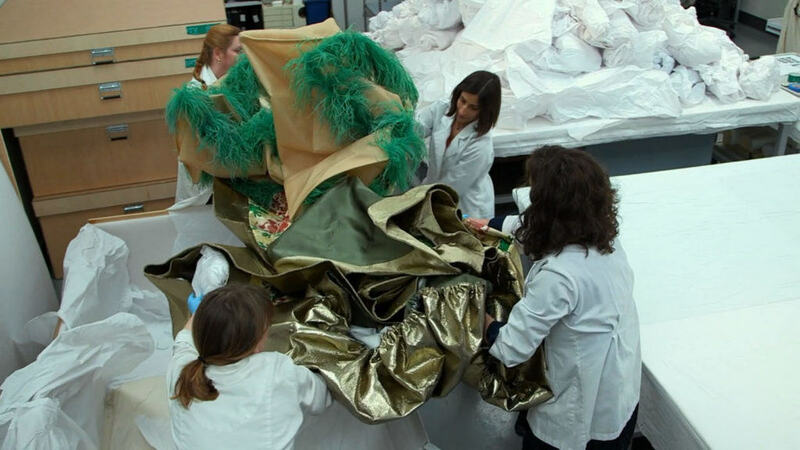 Collections from years past that will become part of the exhibition are carefully extracted from storage. This is a meticulous process that takes much time and deliberation. 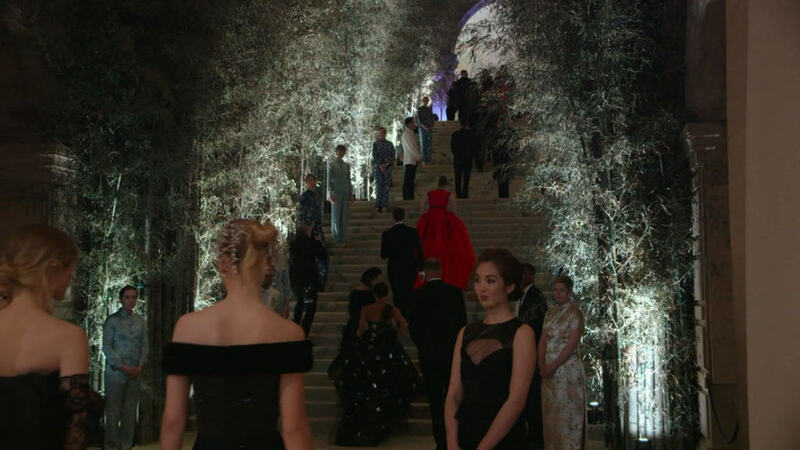 The Met Gala itself is quite beautiful. Ornate, over-the-top decorations, celebrity sightings, and the opening of the exhibition itself for the first time. 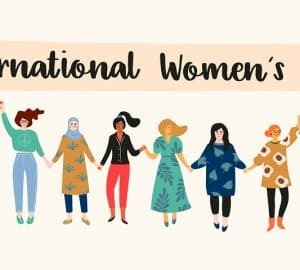 I can imagine that it is all a bit overwhelming, but in such a good way! 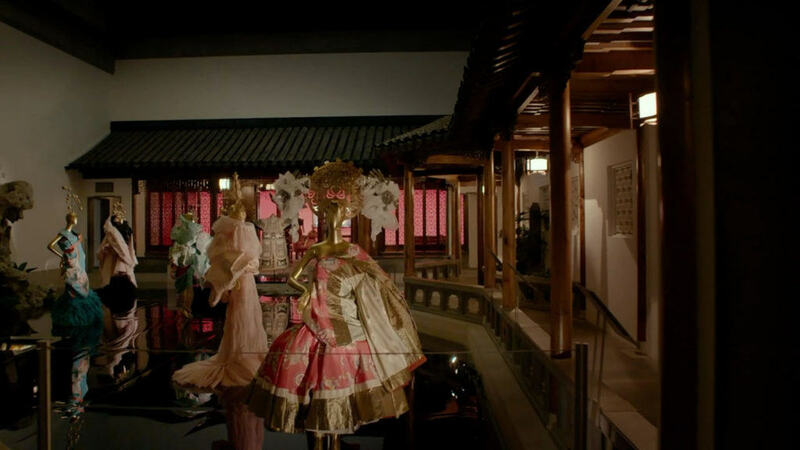 The First Monday in May is an excellent documentary that opened the door for us to see the planning process of the extraordinary 2015 Met Gala and the celebrated exhibition China: Through the Looking Glass as part of the Costume Institute of the Metropolitan Museum. From unexpected delays to last minute emergencies, everything fell beautifully into place for this party of the year. 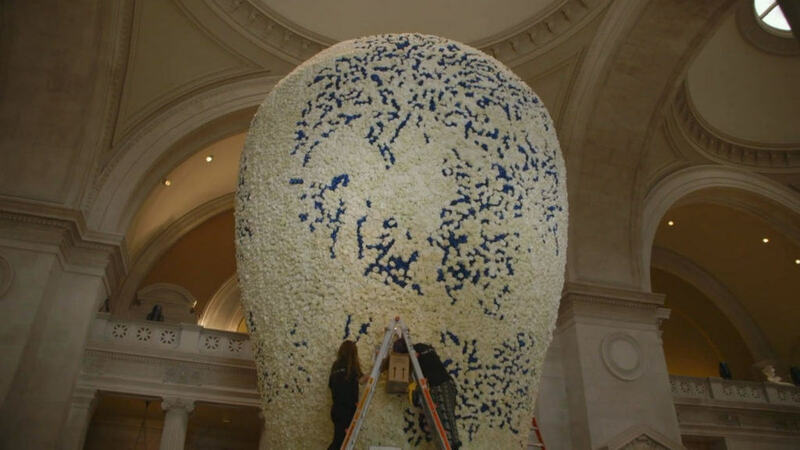 Anna Wintour and her team took care of every detail to make sure each guest had a memorable time while Andrew Bolton rolled out an exhibition that was both beautiful and thought provoking. I highly recommend this documentary, not just if you love fashion, although if you do, it is an added bonus. If you love history, especially the history of China and the far east, you will love the way the exhibition is assembled from beginning to finished product. You can rent this documentary on Amazon Video. All screenshots are courtesy of Amazon Video. I would love to watch this documentary. I’ve always been intrigued by the Met Gala. Ooohh, I need to watch this! I’m a sucker for a good fashion documentary. Also, the exhibit itself was STUNNING. One of the best costume displays at the Met. I have yet to see the new Manus x Machina, but I’m thinking of doing a girl’s date to see it soon. Something I will be telling my gf and her mom about. This isn’t for me but they go crazy over this stuff! I would love to watch this documentary. I don’t know much about fashion but I think it is interesting and inspiring for someone to pull off an event of this caliber! I love documentaries and I love fashion so I just have to see this!!!! Sounds all sorts of fantastic! wow! this documentary really sound interesting, I have always followed Met gala every year and to get insured info on the event sounds fun! 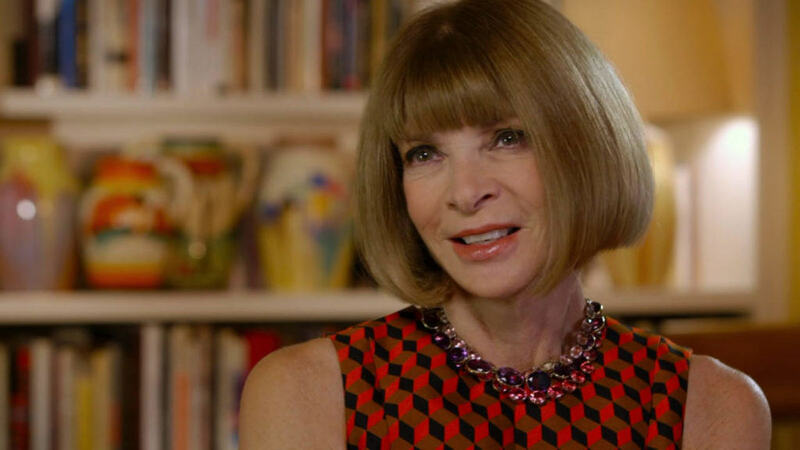 Anna wintour is such an inspiration! This is so cool! I’ve always wondered what goes on behind the scenes! I always enjoy “behind the scenes” documentaries. I would definitely watch this. Thanks for sharing! The sheer splendour of an event like this must be spectacular. I thing renting the video on amazon is going to be my weekend plan! The fashion world is amazing. The work that went into this alone is unreal and unfathomable. I also read about the cost of a table at the event. WOWSERS…. The work that goes into any event is unreal but it looks like this event was even more! I read how much a ticket and table cost but now I can understand why! Wow, I can’t get over how Rihanna’s wrap took 2 years to make, crazy! 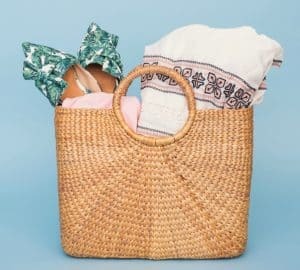 This is such an interesting post, giving a unique perspective and look into the driving force and inspiration behind the MET Gala. We just see the finished product of art graced by the celebs, but many of us don’t know the amount of hard work and creativity that not only goes into each gown, but the overall event and concept(s). Thanks so much for sharing and I hope you’re having a great week so far! I always find myself overwhelmed with celebrities walking down on their prized pieces for the MET gala. I hope I can see this documentary mainly to satisfy my curiosity. I love when they interviewed a lot of fore front designers! Great post dear! Love to watch this documentary!! This is so cool! I would love to watch this documentary. This documentary sounds fantastic! These behind-the-scene looks and scenes leading up to the event are most often the more interesting parts of the process. Can’t wait to watch it!